After two months of being more or less glued to the computer, I was thrilled to head out into the desert and finally get outside again! 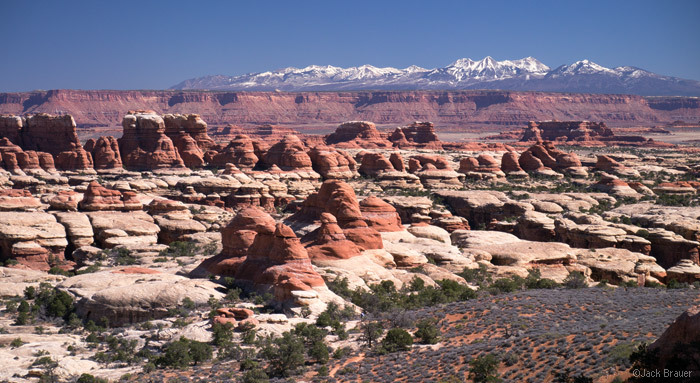 Our destination: the Needles District of Canyonlands National Park, south of Moab, Utah. Above you can see the La Sal Mountains towering over the canyons in the distance. 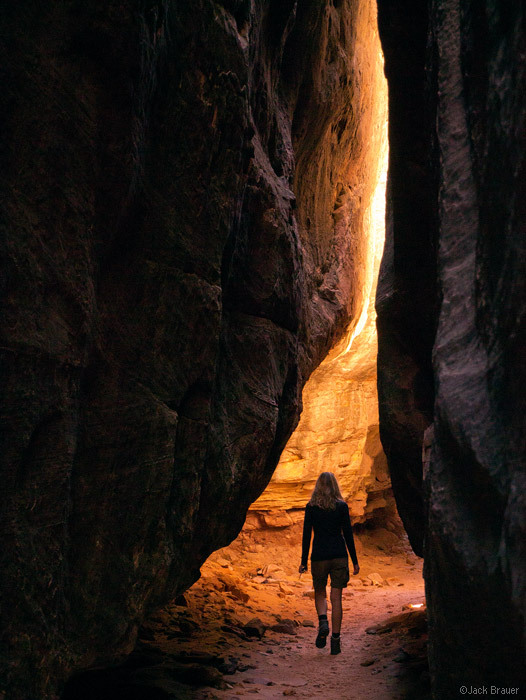 Walking to the glow, in the narrow slots of the Joint Trail. 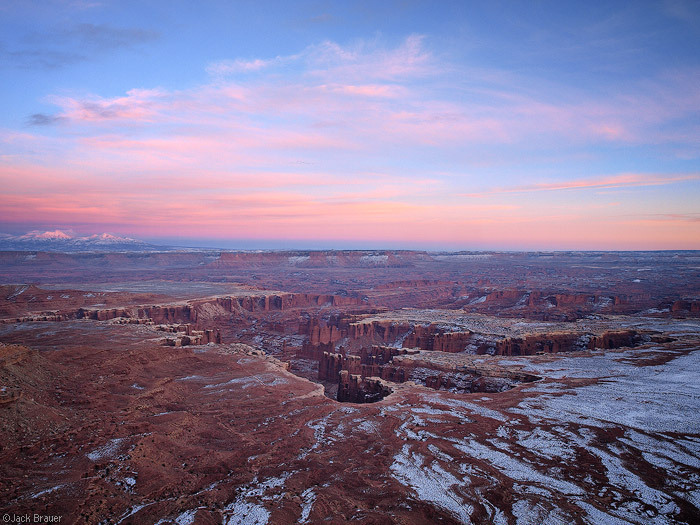 Posted in Deserts & Canyons and tagged Canyonlands, Utah on March 24, 2012 May 19, 2013 by Jack Brauer. [+] On my way home today from Midway, Utah (near Park City), I made a detour from Moab and drove up to the Island in the Sky, in Canyonlands National Park. There was still lots of snow on the ground, even two days after the Christmas dump, and the roads up there were sheets of ice! After a slippery drive to the Grandview Point overlook, I donned my down jacket and snowboard boots, and hiked a mile along the rim to take photos of the evening light and sunset. 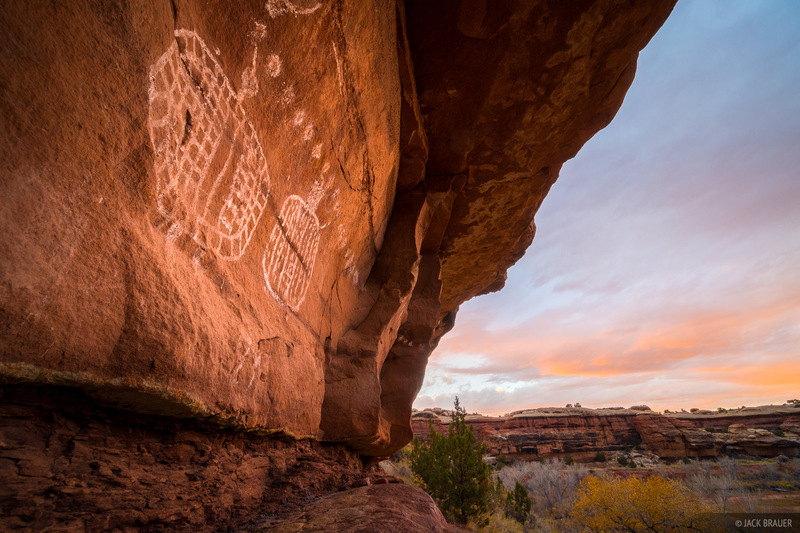 Posted in Deserts & Canyons and tagged Canyonlands, Utah on December 28, 2008 May 19, 2013 by Jack Brauer. 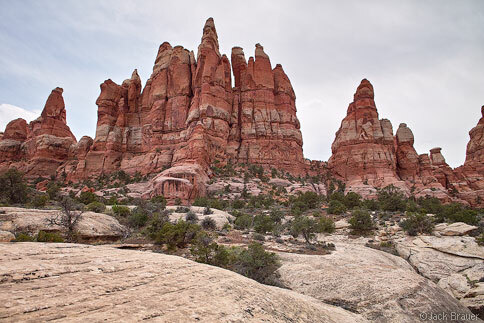 This last weekend I went backpacking in the Needles District of Canyonlands National Park in Utah. After shelling out 25 bucks for entrance and permit fees, I set off into the “wild”. Is it just me or do national parks feel like nature amusement parks? All the regulations and designated trails and campspots definitely spoil the notion of being out in the wilderness. 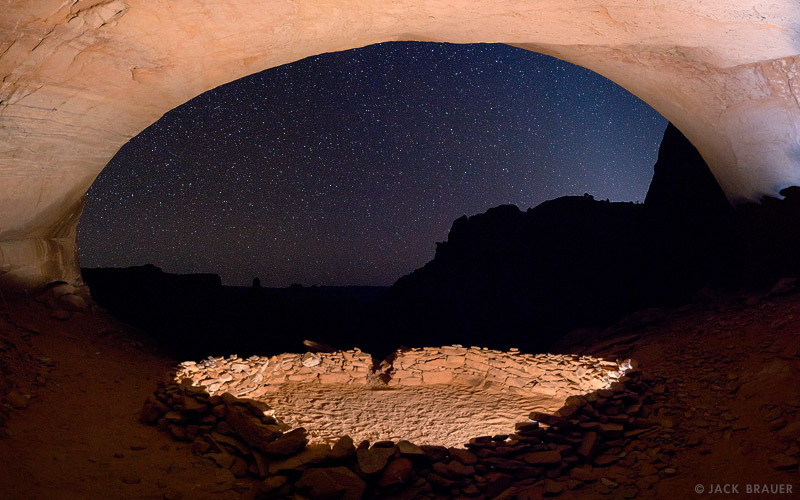 But these areas are national parks for a reason – they are undeniably spectacular! Here are some DP1 digital photos from the trip, as well as a few 4×5 film ones. 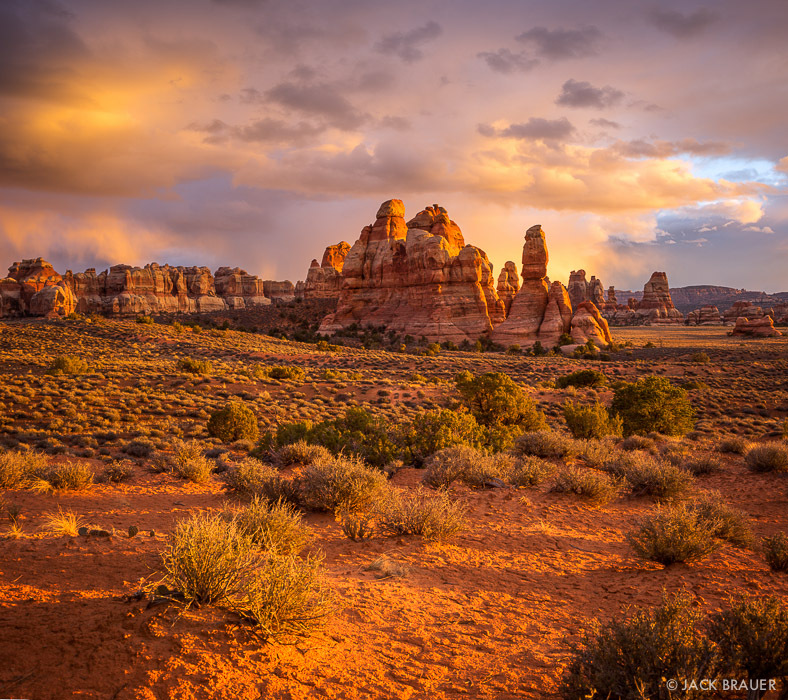 Posted in Backpacking & Trekking, Deserts & Canyons and tagged Canyonlands, Utah on May 6, 2008 May 19, 2013 by Jack Brauer.